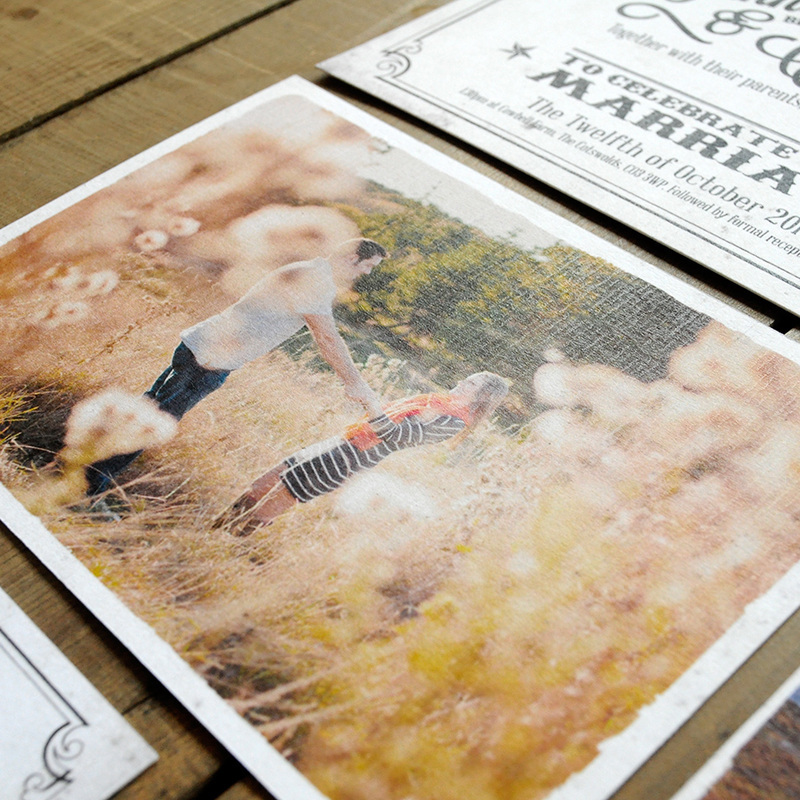 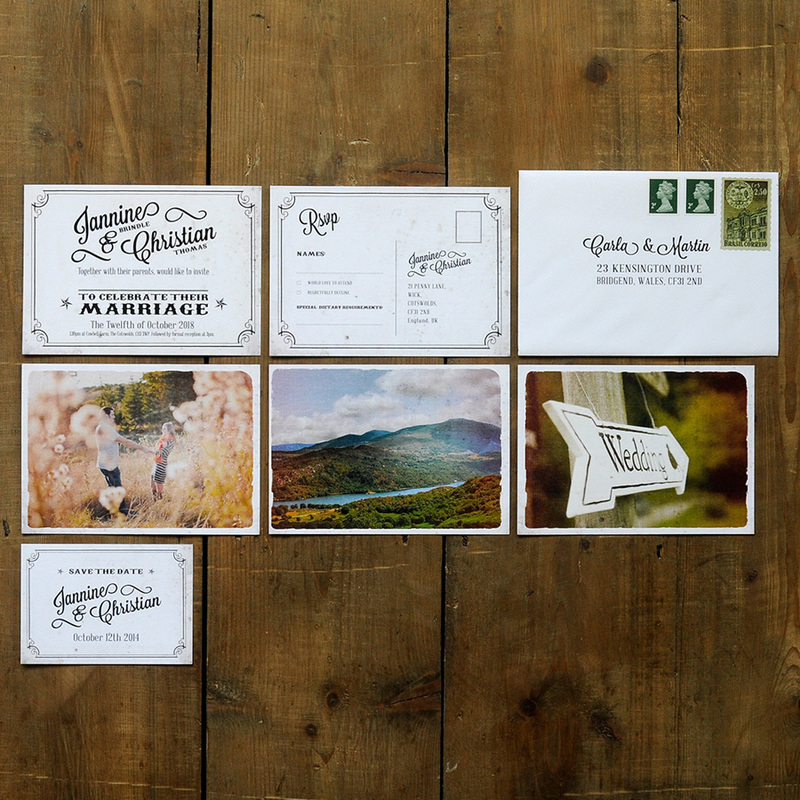 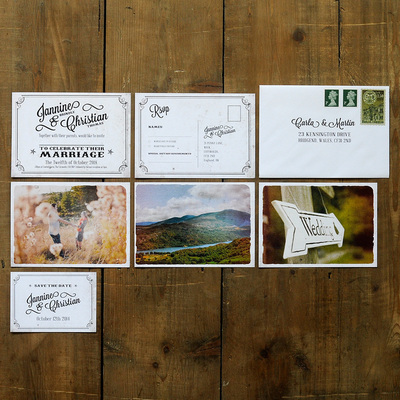 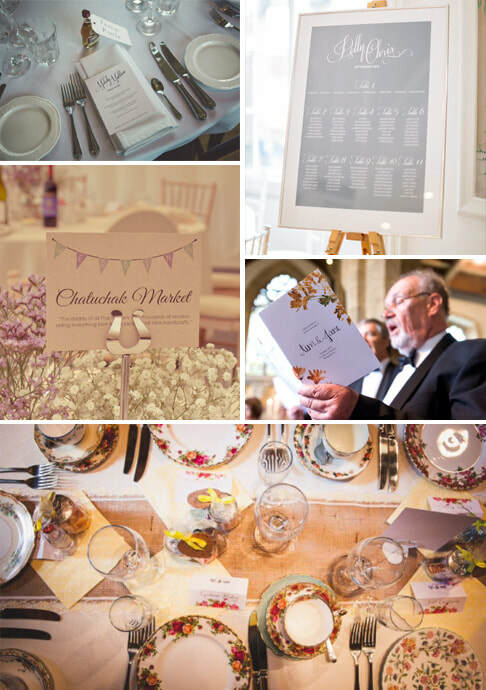 Wedding invitation suite which can feature your photos on the back of each piece of stationery. This design can be given our vintage aging effect if you wish. 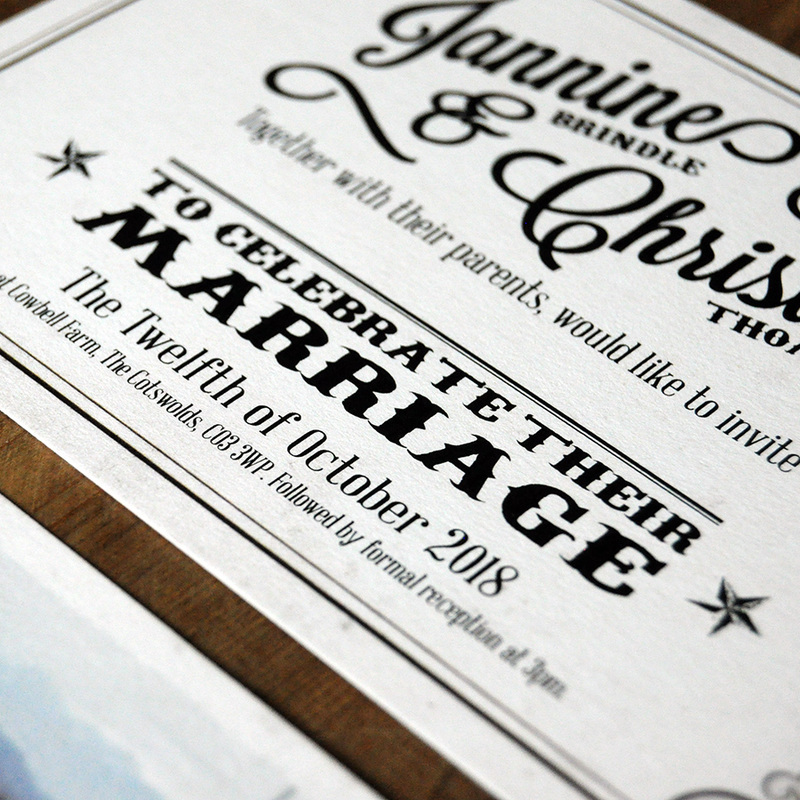 Printed on thick 'feel good' textured card. Choose from matching Save the Dates, RSVP Cards & Info Cards. 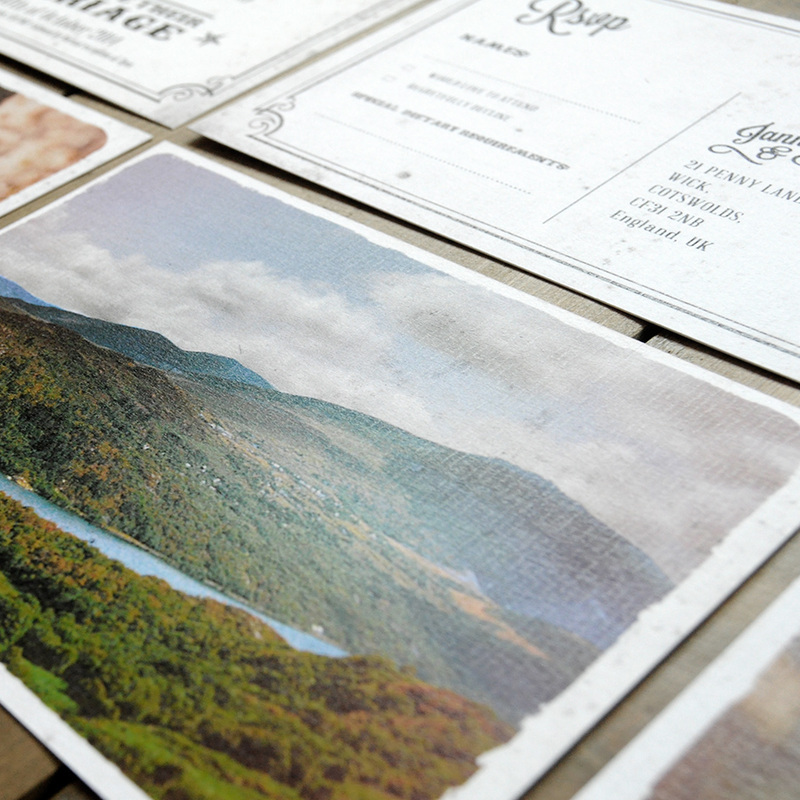 High quality white or ribbed kraft envelopes are also available. 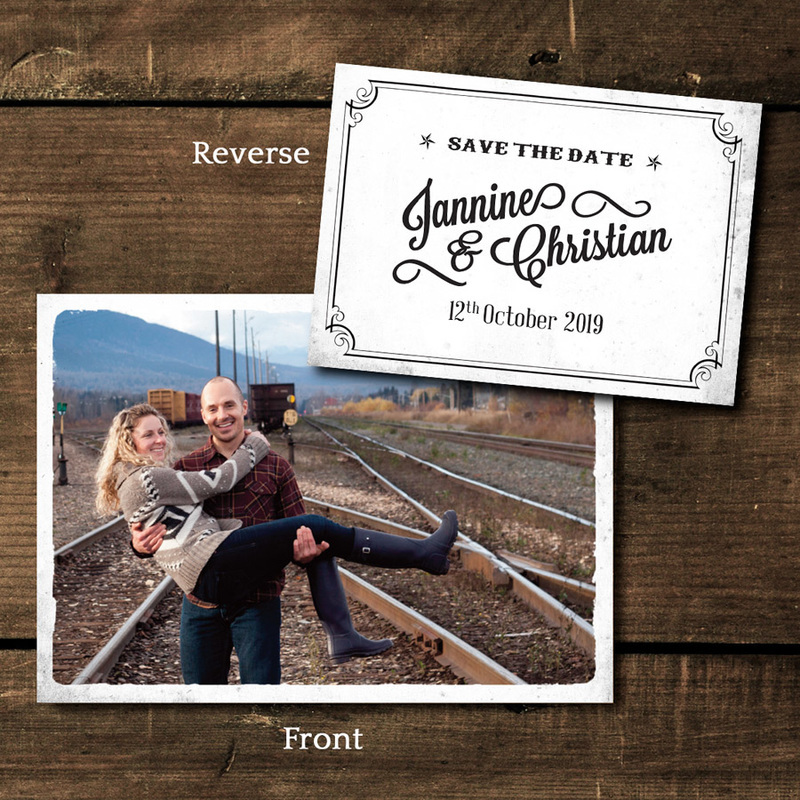 This invitation can be double sided, allowing you to place a photo of your choice on the back of each of your items. 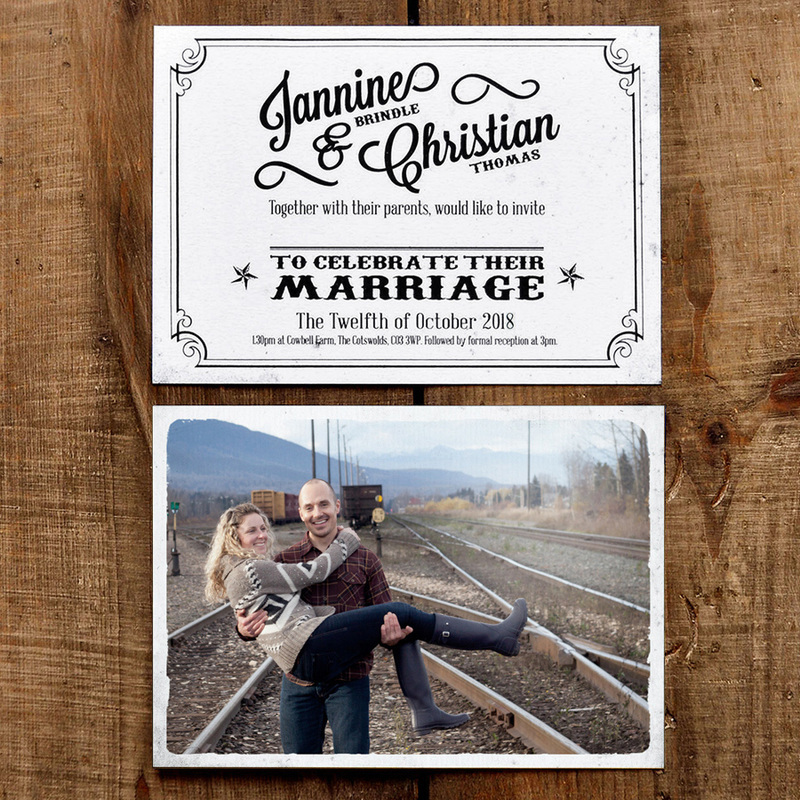 Single or double sided design.